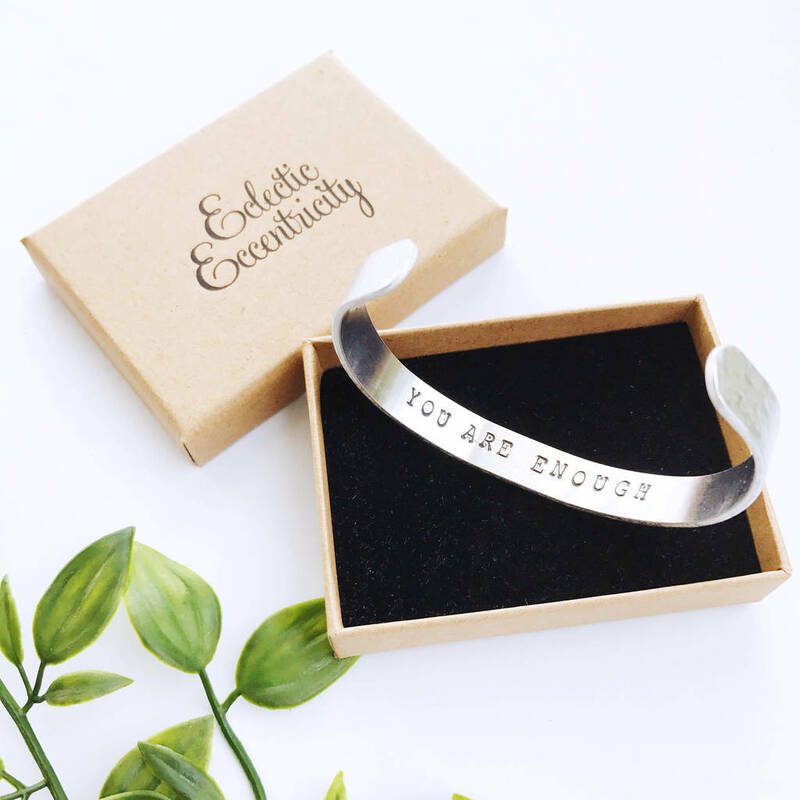 Personalised with a hidden message, these bracelets make a lovely, personal gift for her. 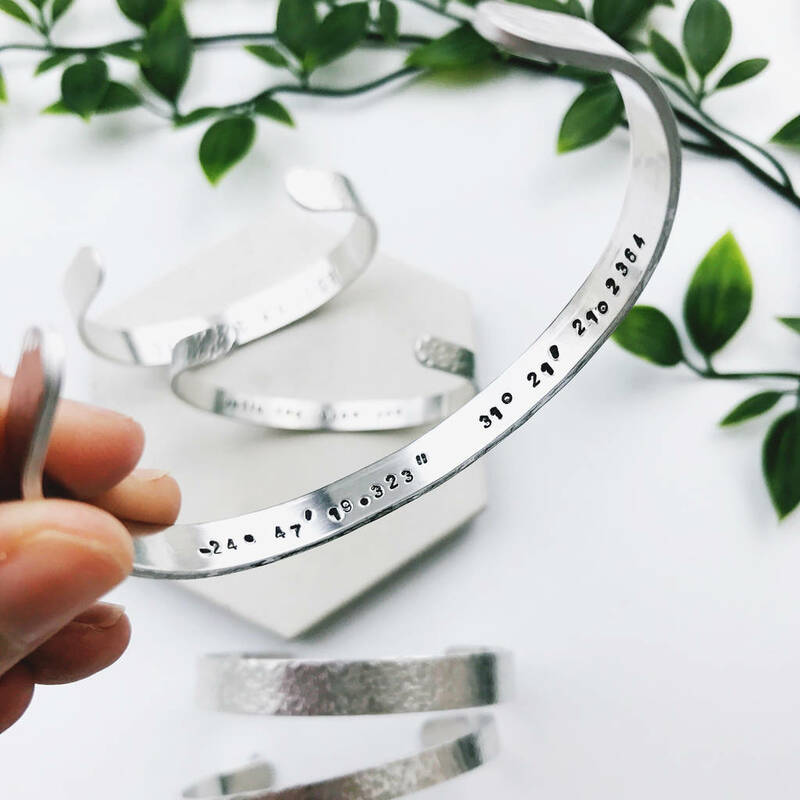 A beautiful bracelet sharing an in-joke with your friend, asking your bestie or your sister to be your bridesmaid or maybe even the coordinates of a meaningful place. or just let us know your own choice (maximum 35 characters). 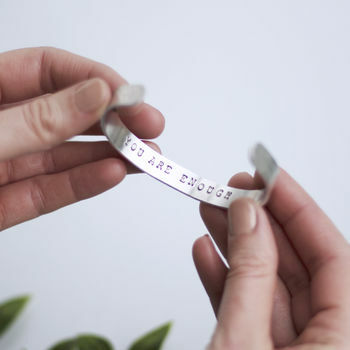 We've hand hammered these lightweight aluminium bracelets in the EE studio to give a beautiful finish. 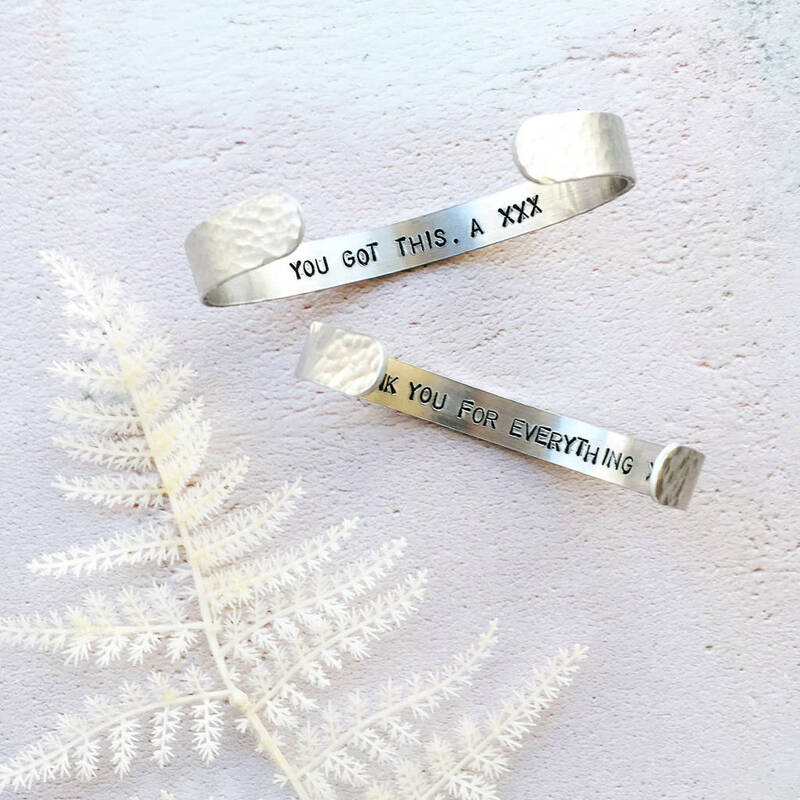 Perfect to wear solo or pile on with other bracelets. Presented in an Eclectic Eccentricity gift box, ready for gift giving. 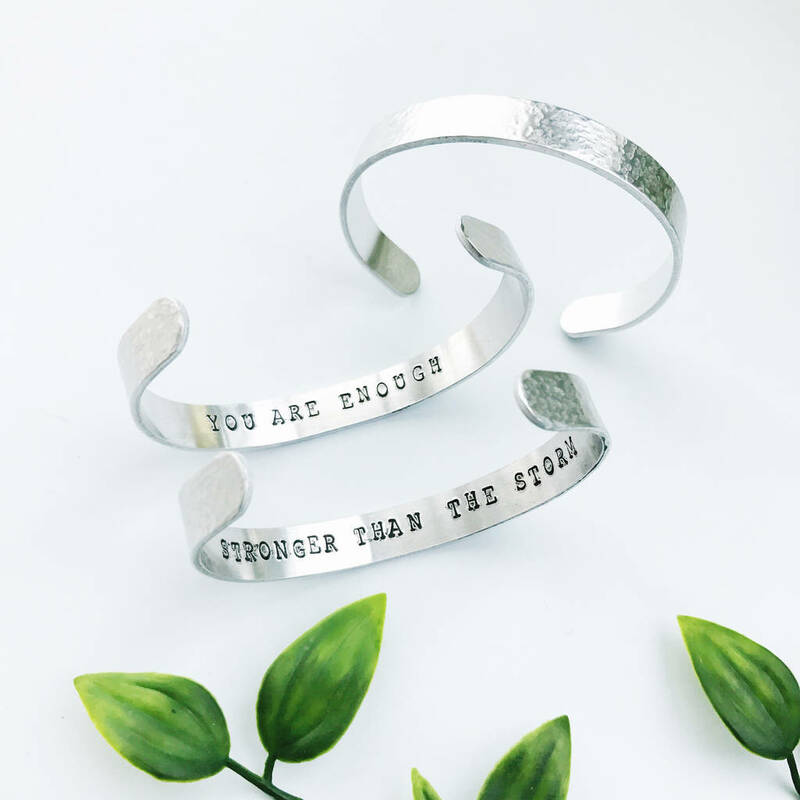 Choose from a thick or thin bangle. 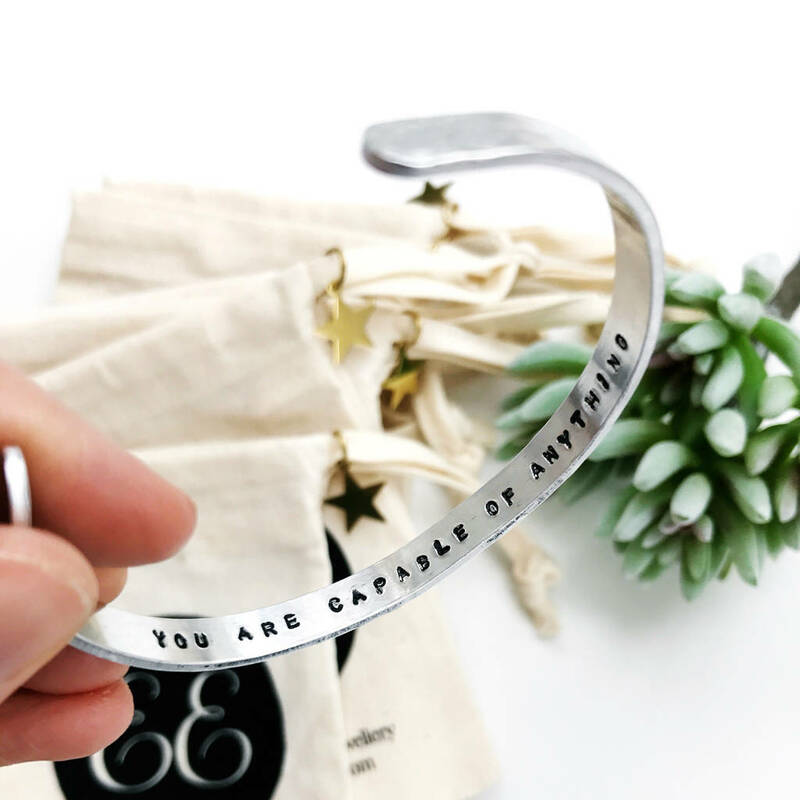 15cm long and fits most wrist sizes. 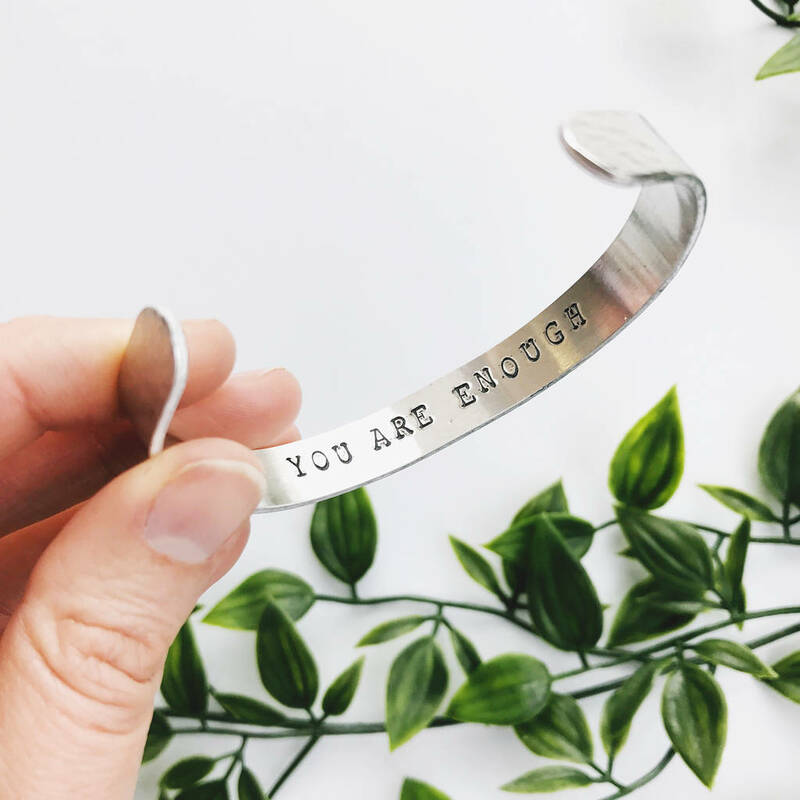 Thin bangle measures a dainty 6mm wide and thick bangle measures 10mm wide.